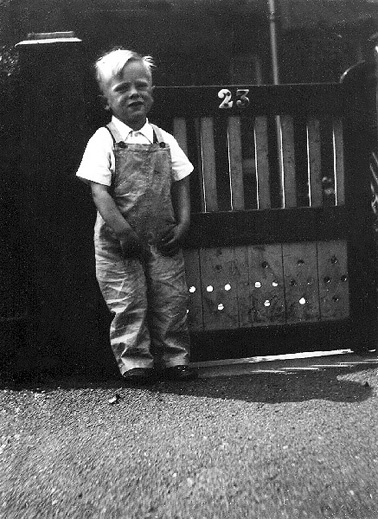 I was born in January 1947 at my Dad’s parent’s house at 23 Steeds Road, Muswell Hill. (My Mum and Dad were trapped there due to the heavy snow until March). For the next 3 years we lived in Stappleton Hall Road, Stroud Green. I can’t remember much about those days except the tiled hallway floor and watching the trains go by at the bottom of the garden. In 1950 we moved about half a mile away to Ronaldshay Flats which had just been built in an area that had been demolished free of charge by a German company called Luftwaffe. I can vividly remember watching my Dad from my bedroom window in the new flat, transporting a load of gear in my pram. I’m not sure why it didn’t come with the removals but knowing my Dad, he had probably used that pram to move everything and I was only watching the last load! Ronaldshay Flats are made up of four blocks arranged in a square, 36 flats in all. In those days, the blocks surrounded a large tarmac area where we used to play. Funnily enough, this area became known as ‘The Square’. Those days were truly happy times. Nobody had much money and the whole community lived like one big happy family. We were all fairly poor, but we could afford clothes and food, so we considered ourselves very lucky. Nobody living there had a car until about 1955. Today ‘The Square’ area has been landscaped, at great expense, by somebody aspiring to be Charlie Dimmock. In 1953 I started school at Stroud Green Infants and I can remember my early school days were very happy ones. When I first started in the juniors I was put in the top class. However, I started to lose interest with anything academic so I was soon moved down a class. I never did well in school after that, apart from in Art and Maths. Bob Hoskins, who you all must have heard of, went to the same school, as did John Swannell (a famous photographer), who was my school friend. In 1958, when I was due to join the senior part of the school, the local education authority had a cunning plan. They decided to build a very large secondary modern school in Crouch End and combine several local schools in Hornsey and Highgate. This was first called Bishopswood, but was changed to Highgate Wood some years after I left. We still had the cane, if we were naughty enough, and the school is still there as a secondary modern. My year was the first year so we never had any older bullies, quite handy for me as I was a skinny lad. I had normal boys' interests like cars, boats and planes and I mainly read Sci-Fi. However, I will own up to having read some of the Famous Five books and I’m ashamed to admit that I was a train spotter. In fact I used to spot everything that moved: buses, tube trains, cars, planes, birds (the feathered type at that age) etc. At the age of 13 I had a Saturday job with a mobile greengrocer. I soon became his favourite worker and used to cover for the lads that worked Wednesday, Thursday and Friday nights. It was 1960 and on average I had £3 10s in my sky rocket each week, not bad for those days. I still continued with my lack of interest at school and I had no ambitions whatsoever. In those days we knew we would get a job without qualifications so why bother to study. I left school in July 1962 without a clue about what I wanted to do. Then one of my uncles said he would be my referee if I wanted to join the Post Office as a messenger and I started work in September 1962. After income tax and fares I was actually worse off than when I was working for the greengrocer! As I wanted to buy a Vespa GS I soon realised why I should have done better at school. It took me nearly two years before I had enough to put down a deposit and buy a parka. 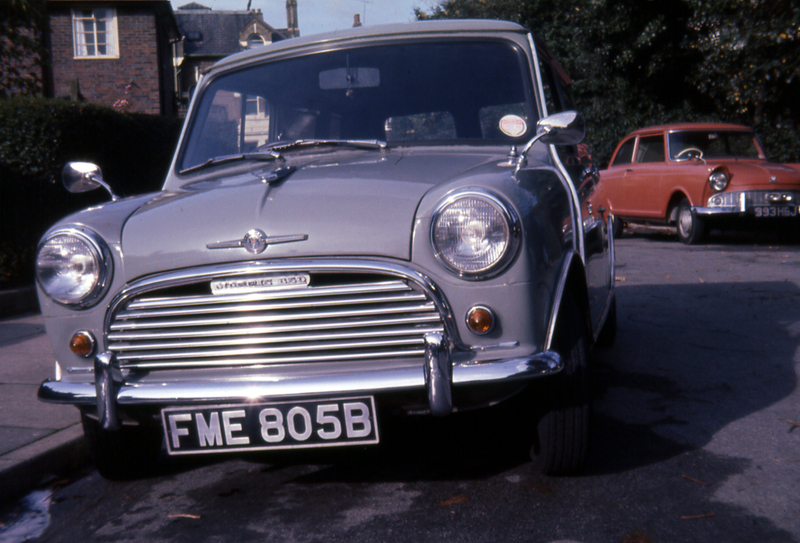 In 1963, we moved to a 3 bedroom semi in Crouch End (very posh) and Mum lived there until she passed away in March 2012. In August 1964, I bought my Vespa; not any old Vespa but a GS150 VS5 which I had dreamt of owing since I was 14. I soon set about customising it in typical ‘Mod’ fashion. I still used to spend a great deal of time at my mate Rod’s flat in Ronaldshay. He was and still is a great guitarist and I'm sure he his sites set on becoming a rock star. I used to play bass or rhythm guitar very badly and help out with the vocals. Well, I was a choir boy for three years, before my voice broke, and I once sung in Westminster Abbey! 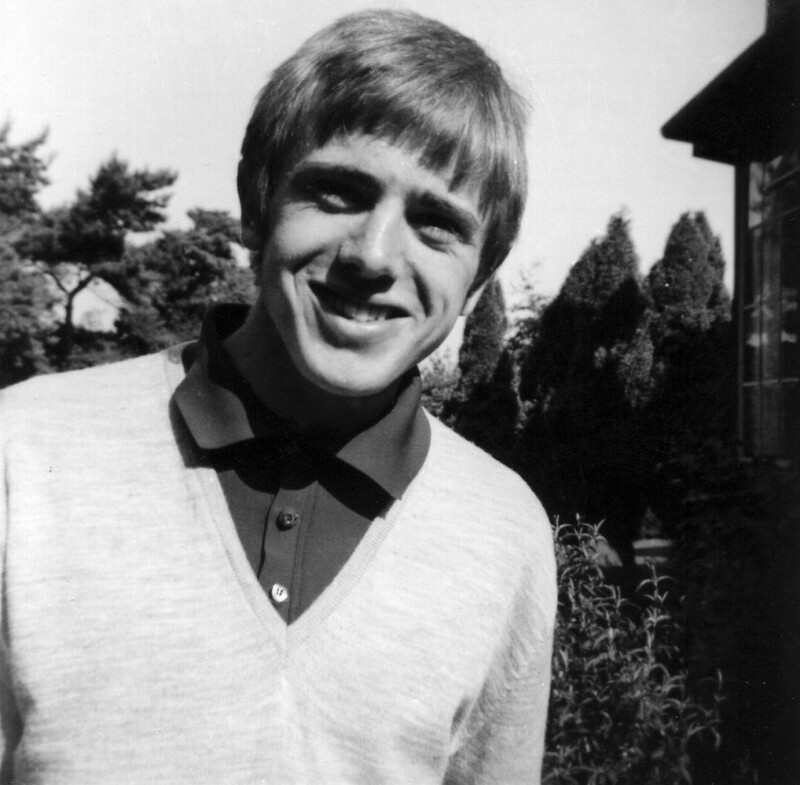 In 1967 Rod formed a group called Rupert’s People and he made a few records but he never became a household name. However, in the music business he is well known and famed for his song writing and guitar skills. His old records sell for silly money on eBay as there is a world wide cult following for his music. I think the pinnacle of his career was when he played on several tracks on John Lennon’s Imagine album under his stage name of Rod Linton (Should have been Lynton). Rod’s other passion was for guns and all sorts of weapons. (Bows and arrows, crossbows, model cannons, rockets, catapults, air pistols, air rifles, shotguns, you name it he had it). I still keep in touch with Rod and he still performs. As a messenger, I had to attend the City Day College in Bunhill Row one day a week. In September 1964 I met Linda Hayes, an ex-Risinghill pupil. She was doing a secretarial course and we were both in the same art class. There was a mutual attraction between us and we very soon started going out with each other. She said it was my parka that first attracted her to me (what a cheek!). When I realized she used to go to the infamous Risinghill, I was worried about how I would be received by her family and friends. What was I letting myself in for? Her family and friends were absolutely great and her parents seemed a lot better off than mine. They were always having parties and they treated me like one of the family, which was just as well as I practically lived in their flat full time. 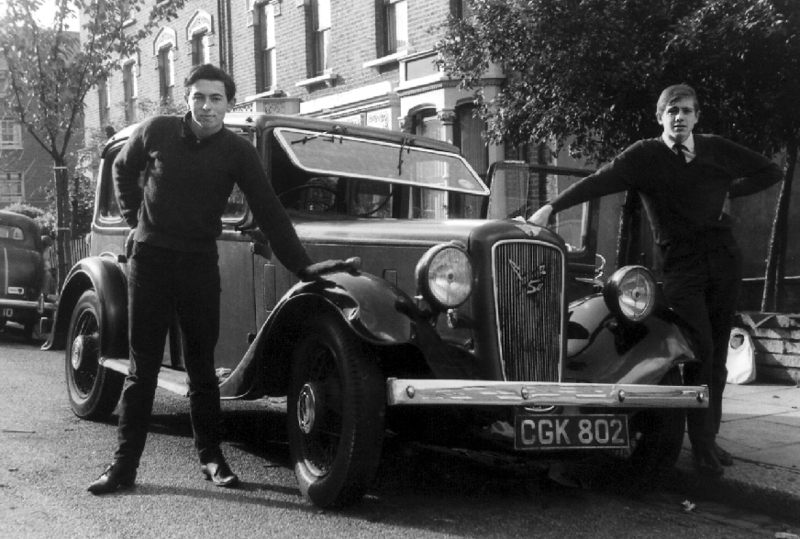 After I passed my motorbike test in November 1964, we would show off by riding up and down every High Road (Wood Green and Tottenham mainly) and hanging out in burger bars. We hardly ever wore our helmets as that was considered un-cool. Love only lasted until December 1965 and I spent three month feeling sorry for myself. I didn’t have a decent girlfriend and I was going nowhere at work. 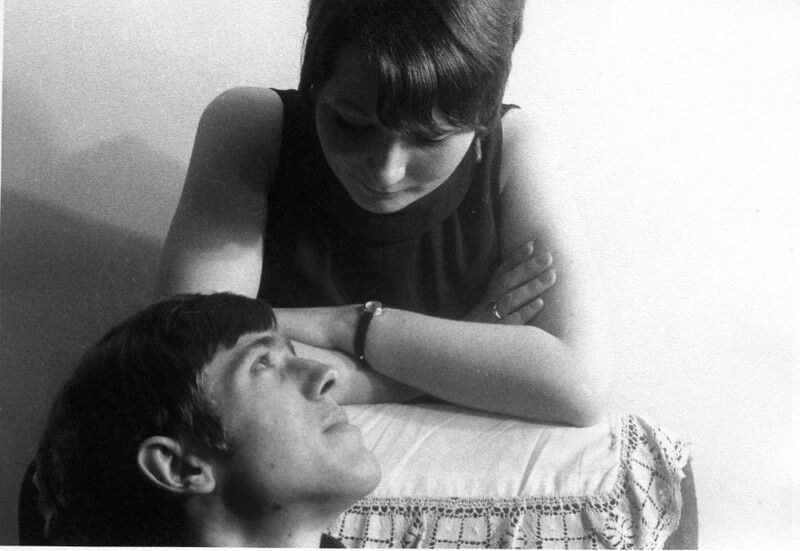 In March 1966 I met Pat, the love of my life. That May I bought a Mini and I sold my beloved scooter for £50. In May 1967, I managed to transfer over to Post Office Telephones; the best break of my career. At first I was based in Drury Lane as a Trainee Technician Improver on Block Wiring (wiring large buildings with telephone cables). In the September, I went to college and, for the first time ever, I actually wanted to learn and I was surprised how well I did. In March 1968 Pat and I got engaged and I was promoted to a Technician IIA soon after. In November that year I became a Technical Officer In Training (TOIT) in the external planning office in Fleet Building, Shoe Lane. In 18 months, I’d gone from a job with no prospects to one that had enormous potential and I just couldn’t believe my luck. Working on planning was a great job. My area stretched from Hackney Road in the east to Tottenham Court Road in the west and from Holborn in the south to the Archway in the north. I became a Technical Officer in less than a year, having passed the necessary courses, and we could now afford to get married. We married in February 1970, bought our first house in Rayleigh in October 1971 and became commuters Pat hated commuting and soon came up with a solution. Lisa was born in July 1973 and, in June 1976, Daniel was born. Late in 1979 I past an in line board to work as an Assistant Executive Engineer in Telecommunications Headquarters (sounds good but it was just a level one manager). In March 1980 I was offered a job looking after external planning and records policies for the whole of the UK, with an office in Finsbury Circus. This involved quite a bit of travelling around the country and extensive use of computers, hence I’ve become a bit of a computer geek. To keep fit I used to play badminton at Golden Lane most Tuesday lunch times right up until 1992. With the extra money coming in, we moved to a detached 3 bedroom house in Eastwood in April 1981. 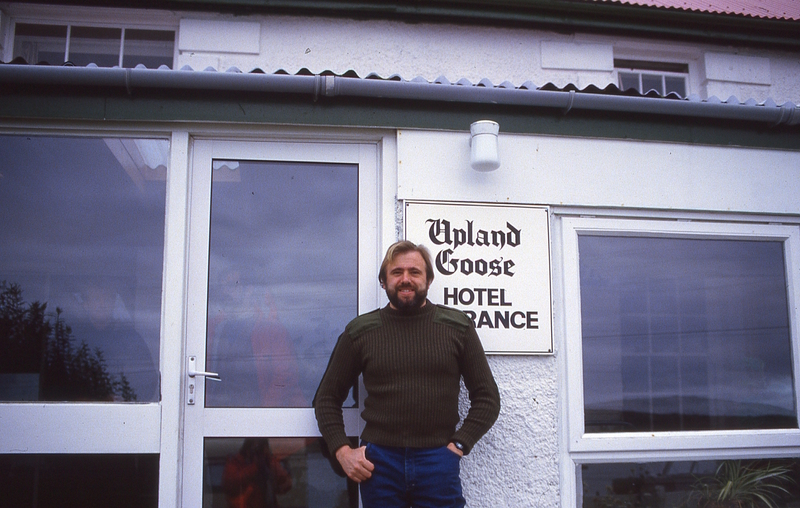 In 1984 I worked for Telconsult on secondment, interviewing planners to select candidates for work in the Far East. One day they offered me a contract in the Falklands and, to Pat’s dismay; I accepted it as I knew it could help with further promotion. I spent all of March 1985 in the Falklands. The flights were very different to domestic ones and, due to some technical problems, we were in the air for a total of 28 hours going there compared to 21 coming back. 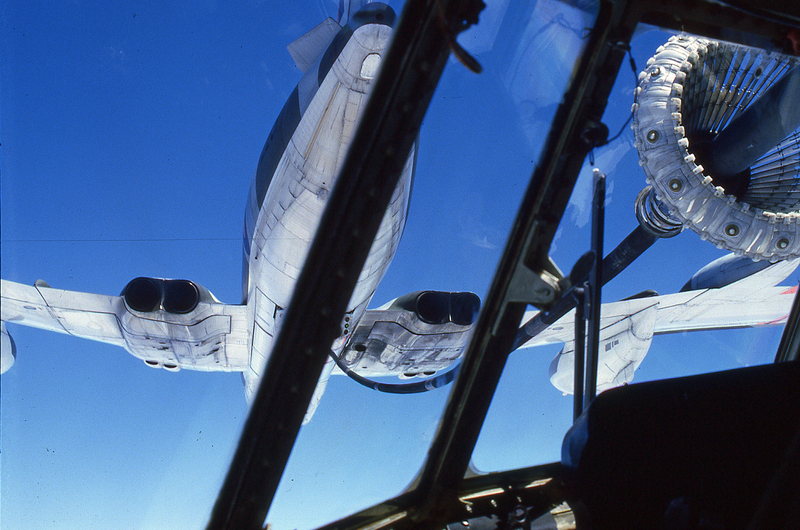 The mid-air refuelling on the way there was a sight I’ll never forget. By 1986 I was promoted to an Executive Engineer. I worked in BT’s Old Street building near the tube station until we all had to move to Shaftsbury Avenue in 1987. We were forever being reorganised and shifted around, but my last five years were spent in The Angel Centre, Islington. 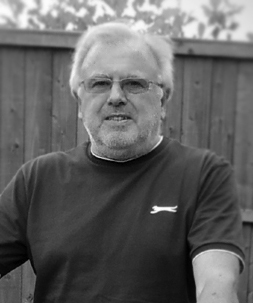 In September 1996 I took early voluntary retirement from BT and in January 97, at the age of 50, I started collecting my pension. After leaving, I spent just over two years in a local part-time job selling quality furniture. However, I felt the need to get back to the telecomm arena, so I started to look in the newspapers. I got a job in January 1999 with a pan European Internet Exchange Company called TeleCity as their records and standards manager. My office was in Docklands but I had to fly up to Manchester and around Europe quite a lot. This disappointed Pat. Ringing her up from a bar in Amsterdam never did go down too well! As you can tell, I have often done things that Pat disapproves of. Still, we have a very good relationship, even if her favourite song is ‘Thorn In My Side’ and her favourite film is ‘Shirley Valentine’! When the dot com bubble burst, TeleCity had to make cutbacks and I was made redundant in June 2001. Another lump sum and a small additional pension came my way, so I didn’t feel too put out. I got a job as a contractor with BT in February 2002. I was based in Romford and it was a great job while it lasted. In April 2003 I decided to take some time off work as I wanted to write a story about the 1960's. I read up on how to create web pages as I thought a web site would be a good platform for my story and my 1960's photos. As my memory of those times is not brilliant I set about trying to contact my friends from the mid 1960’s. I had some success with Friends Reunited (FR) but most of my old friends were missing, including my first love and ex Risinghill pupil, Linda Hayes. However, I discovered a group who were doing some research on Risinghill and, after reading the story about the school on FR, I became very interested in Risinghill and immediately bought a copy of Leila Berg’s book. I felt livid about the injustice that had taken place so I offered to help the research group. I’ve put my newly acquired, and still very amateur, web site building knowledge to some use by creating a web site for them. Since 2005 I’ve run my own Telecommunications company and I just wish I had done it before. Setting up a limited company and being saddled with paperwork put me off before but it’s a lot easier than I imagined. Up until the end of February 2014 I was looking after fibre network GIS records for a small National company, now I'm hoping to do some work associated with old scooters. I have some ideas but each one requires some R&D work. In July 1997 our daughter Lisa got married. Lisa has given us two grandchildren; Harry was born in December 1998 and Jack in April 2001. Sadly, she divorced in 2004 and we have been doing all we can to help out. In August 2009 our son Daniel married his partner Jenny in her homeland, Sweden. Their pageboy was their son William. William was born in April 2008 and was christened William Erik Bailey. In February 2011 they had another son Oskar David. At that time they were living in Crystal Palace and we used to enjoy staying with them. Unfortunately for us, my son got a teaching job in Gothenburg and they moved to Sweden in June 2011. They had a daughter in August 2015 and named her Emma. She is going to get spoilt rotten. We get to see them all but not as regular as we would like as kids grow up so fast. I have always loved photography which I first started as a hobby in 1965 and nowadays I’m always taking photos or videoing. Mind you, as nearly everybody has a mobile phone with camera and video built in, I’m never alone nowadays. I must admit that I still spend far too much time on my computer. What with Facebook, Twitter, Friends Reunited, MSN, Youtube, emails etc I find it hard to walk away. Even when I do, I’m still on the Internet 24x7 with my mobile! WHY? I DON’T KNOW WHY! I bought a 1960 Vespa GS150 in 2011 and a 1959 Lambretta Li150 in 2013. The GS was restored and the Li was customised, both by JB Tuning. Last year I bought a 1955 Vespa GS150 in Sweden and this one is being restored in Sweden. Photos of these scooters can be found on this site and I'm hoping to add more details of each ones restoration. I enjoy cooking foreign meals (or ‘Dad’s gunge’ as my kids used to call it!) and I love growing herbs, tomatoes and peppers, especially the hot peppers. I never buy the seeds for the peppers I just get them from the peppers I buy. I exercise indoors for about 15 minutes every day and wife Pat and I take our dog Charlie out twice a day. I always count the calories in an attempt to keep my weight down but the older I get the harder it becomes. I don’t do it to look good, I do it as it helps keep the blood pressure and cholesterol down. We love travelling both in the UK and abroad. That’s my life in a nutshell; boring eh and it’s official. When Pat and I had to be positively vetted in the 90’s so she could work for Special Branch, they couldn’t believe how uninteresting our lifestyle had been, so it must be on record somewhere in the Home Office.